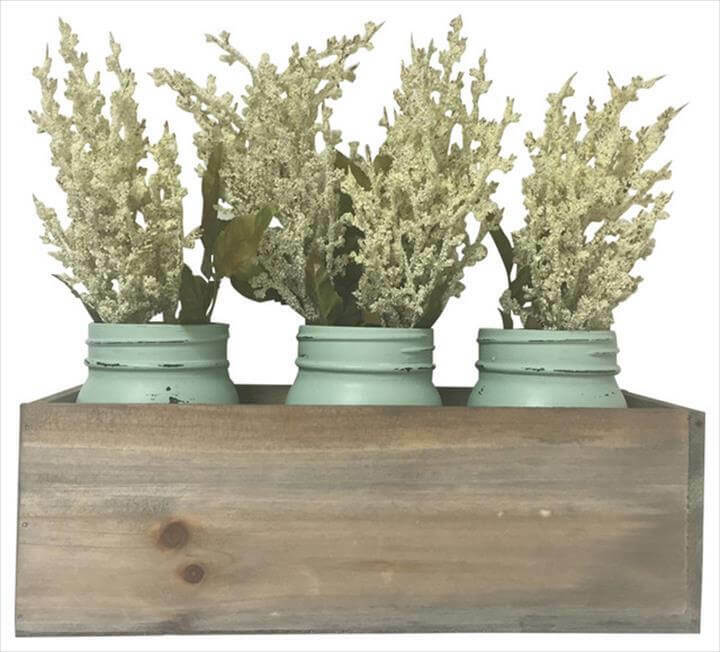 Make the planters a must have for your house as they have lots of benefits for us. 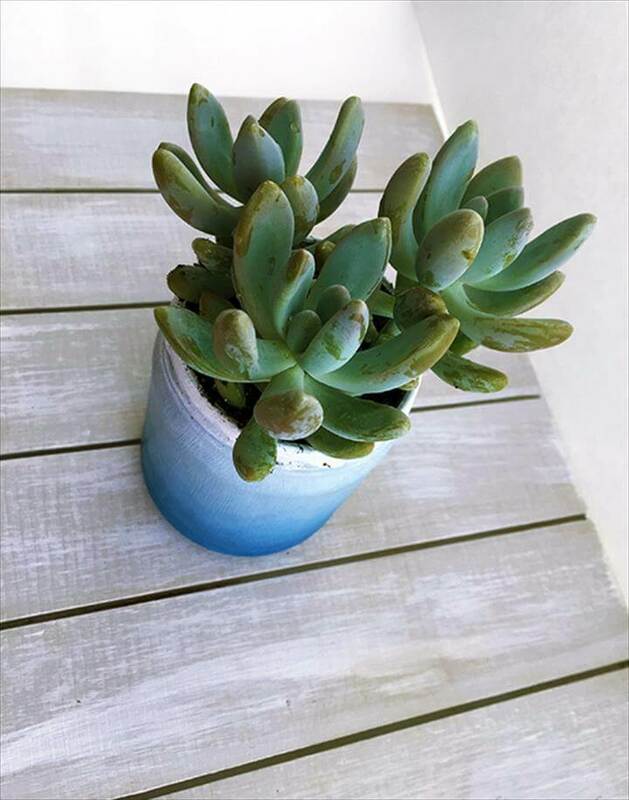 Especially the ornamental plants or planters not only grace up the beauty of the house but also bring a calming effect with them. 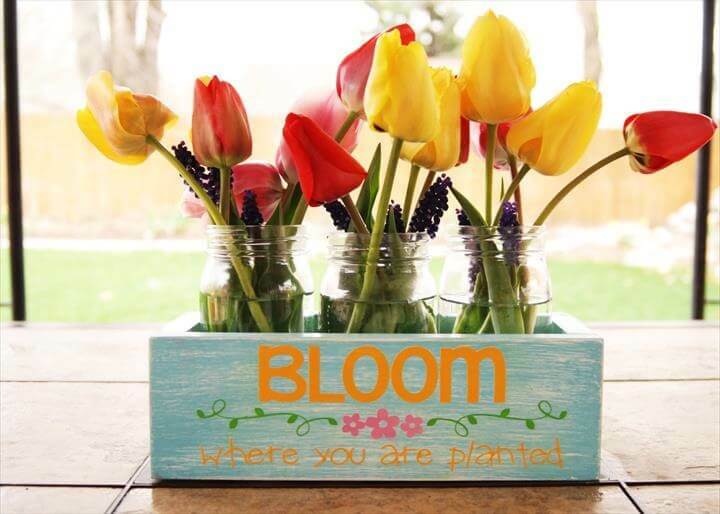 It is also said that being around the flowers and plants increase your concentration and memory. 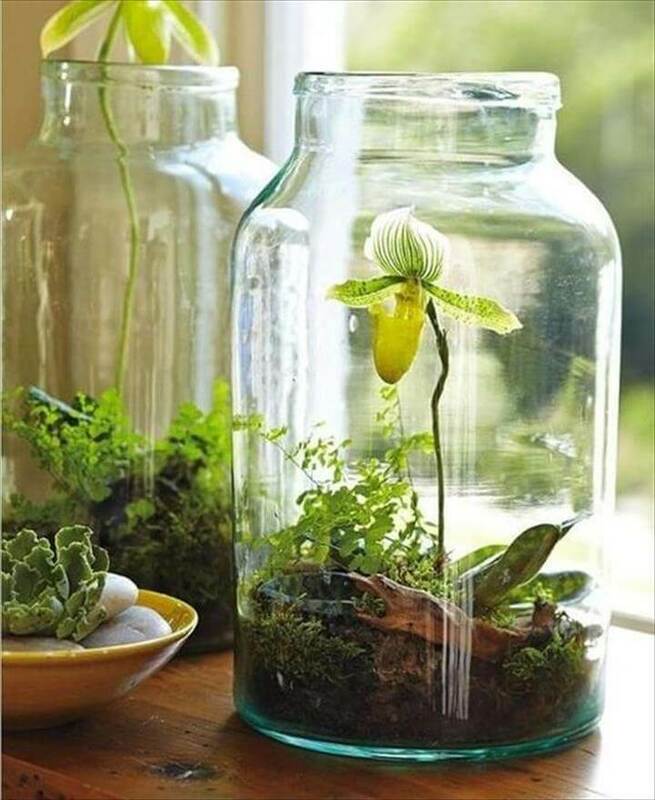 So do make efforts to bring the lovely plants and flowers in your house and enjoy a healthier ambiance around you. 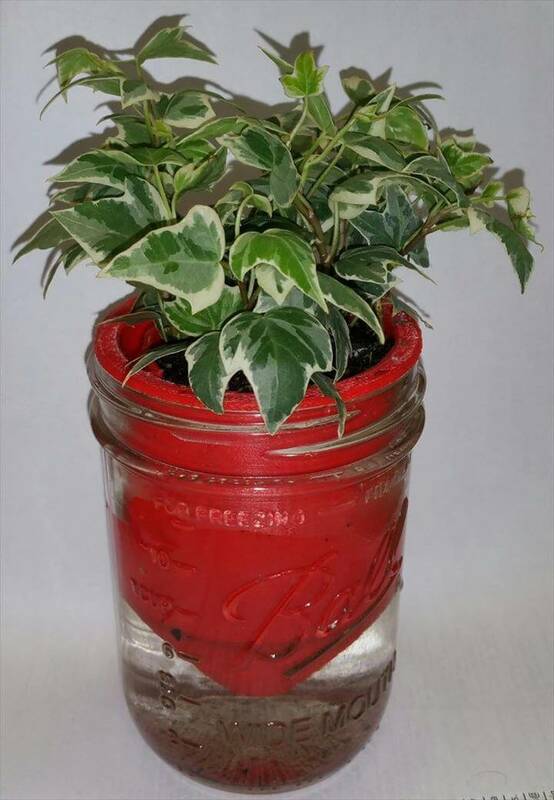 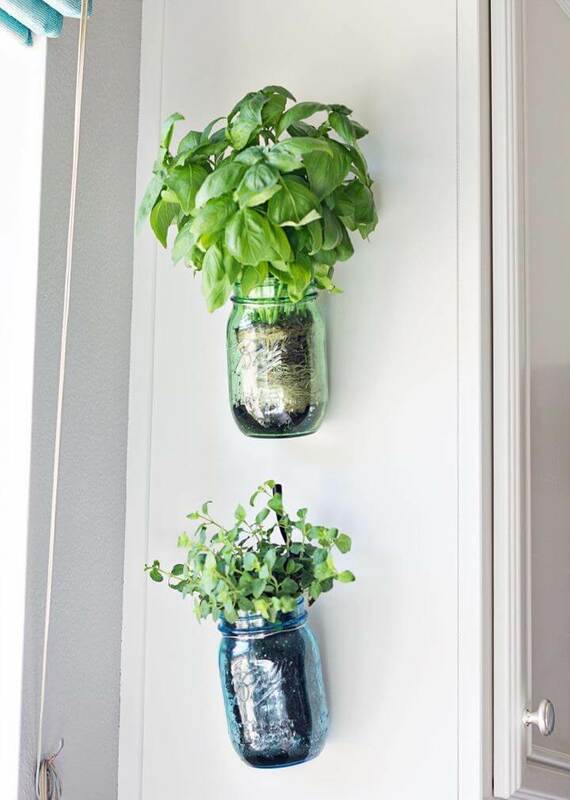 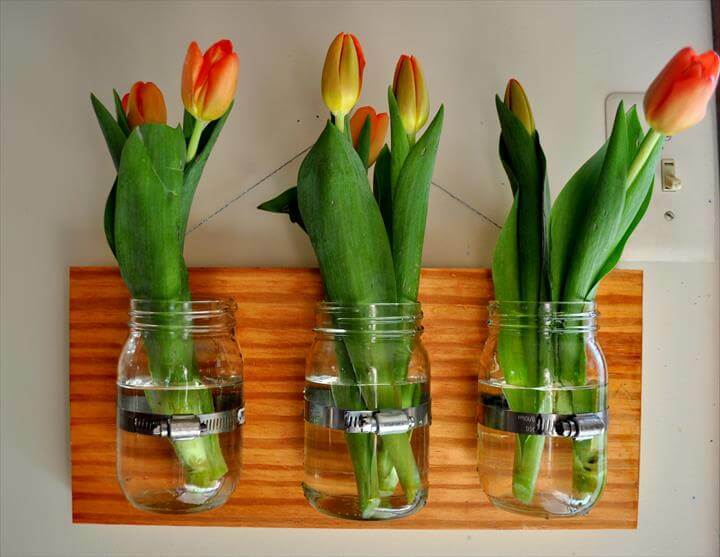 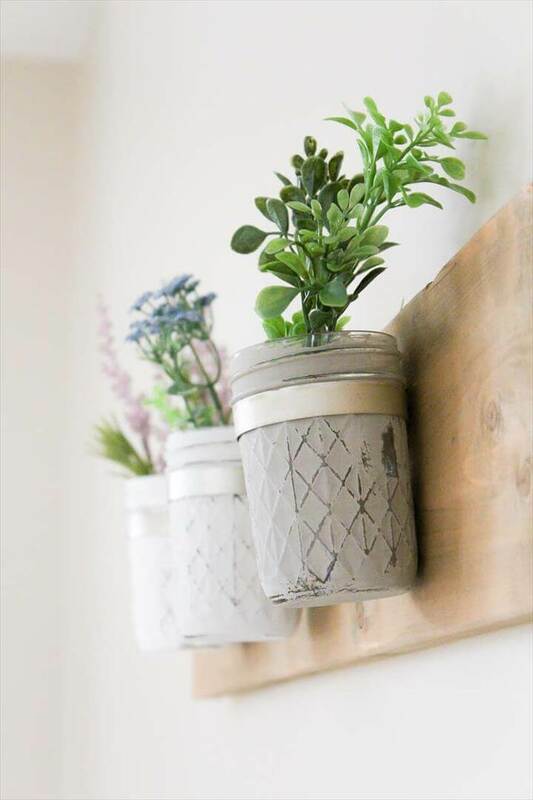 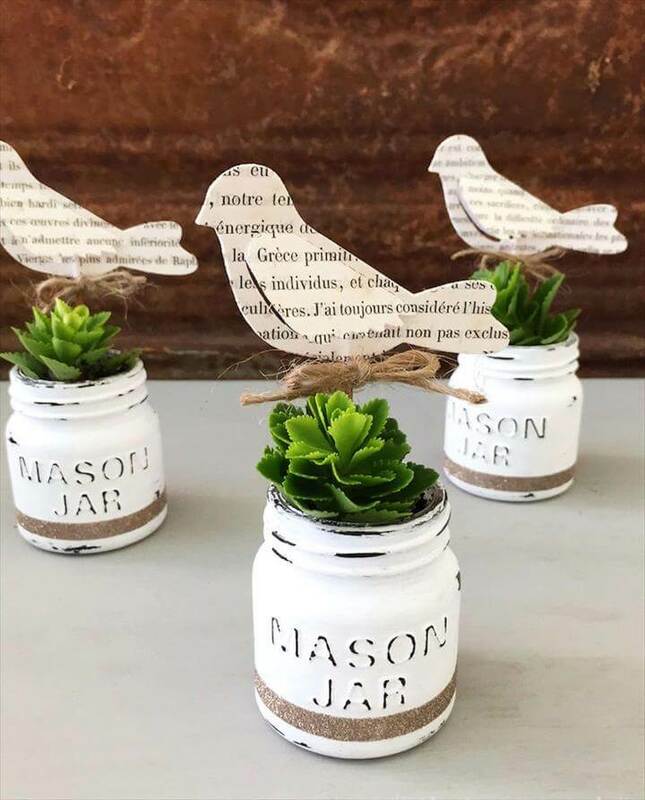 Obviously you would need planters to hold your favorite plants and flowers in and the lovely Mason jar can cheaply but efficiently perform this duty. 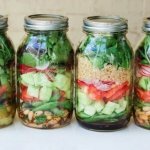 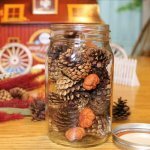 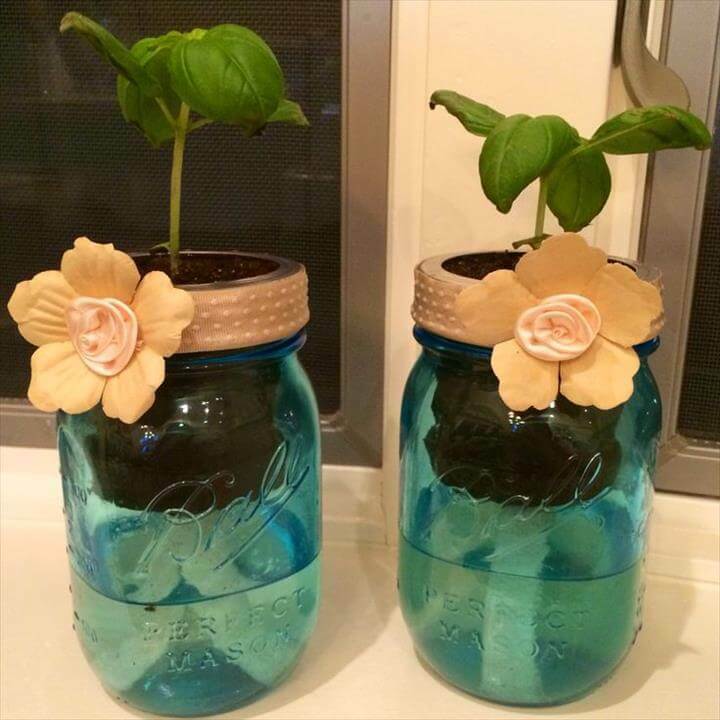 And to impress and inspire you more for the Mason jar planter we have surfaced the internet for hours and brought about the best ideas right here in this regard. 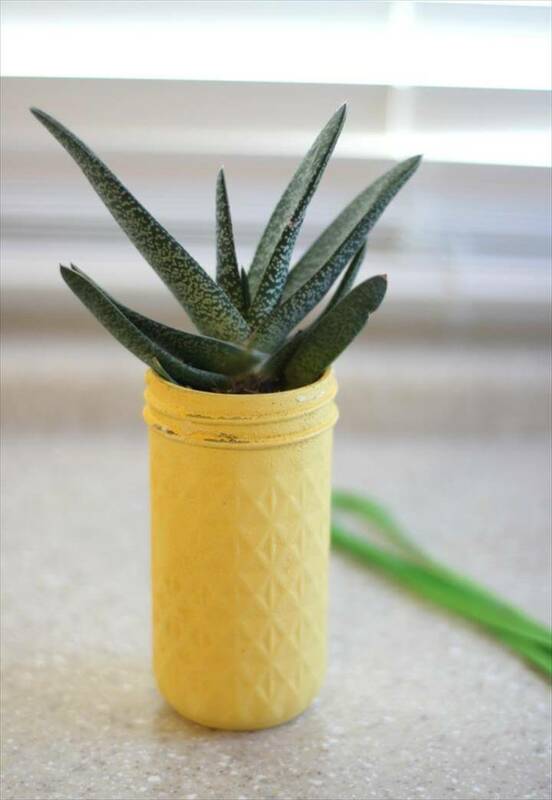 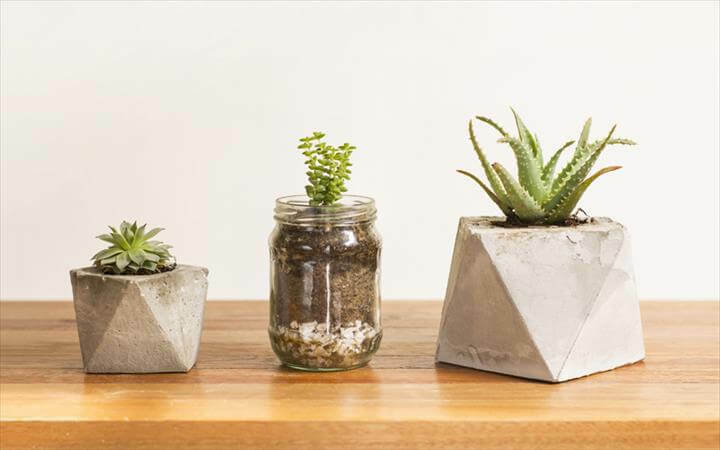 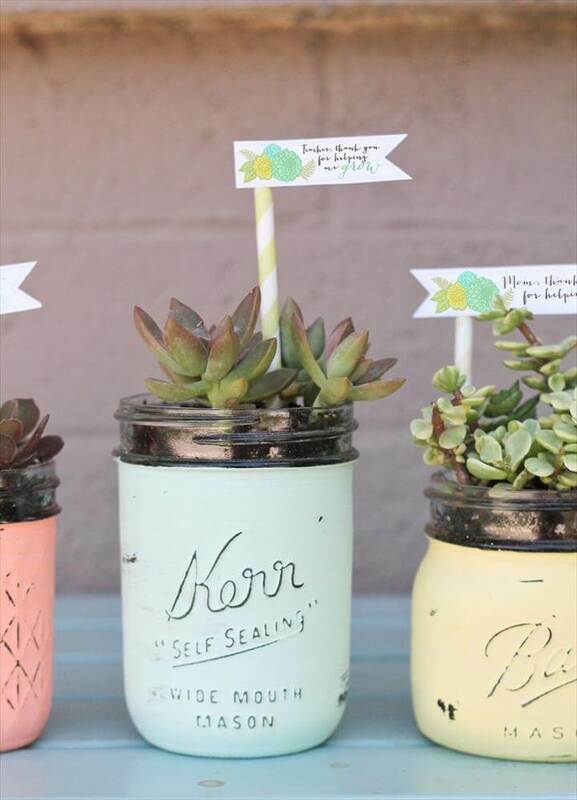 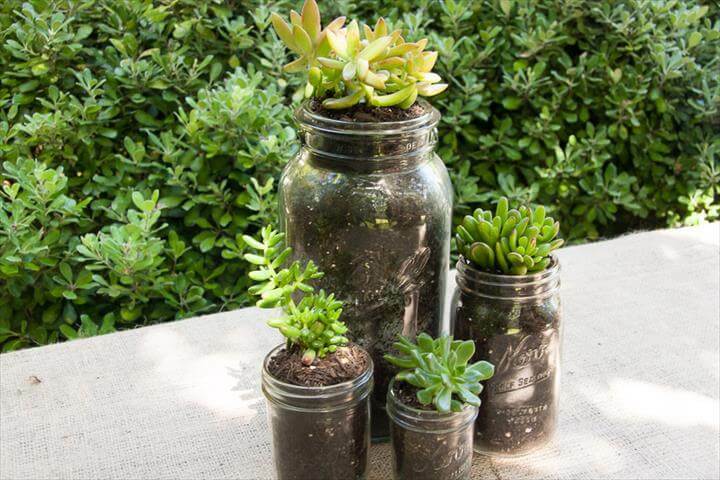 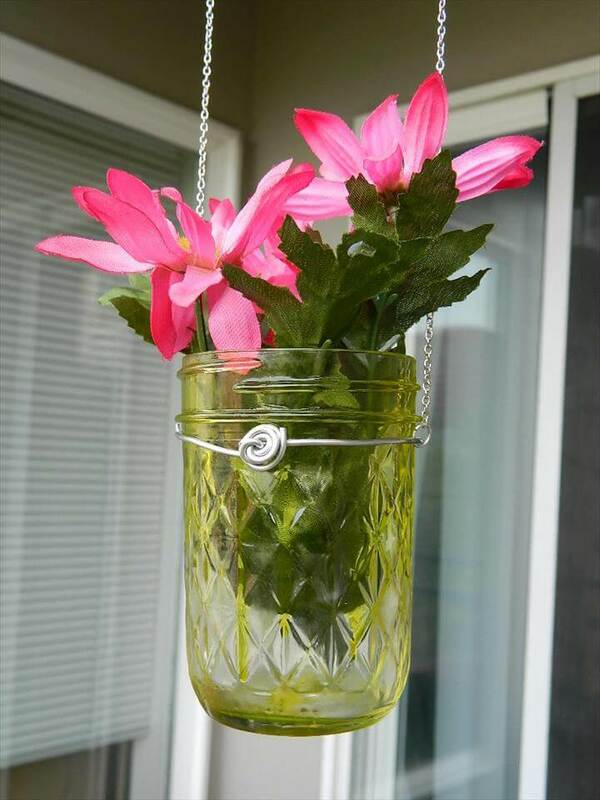 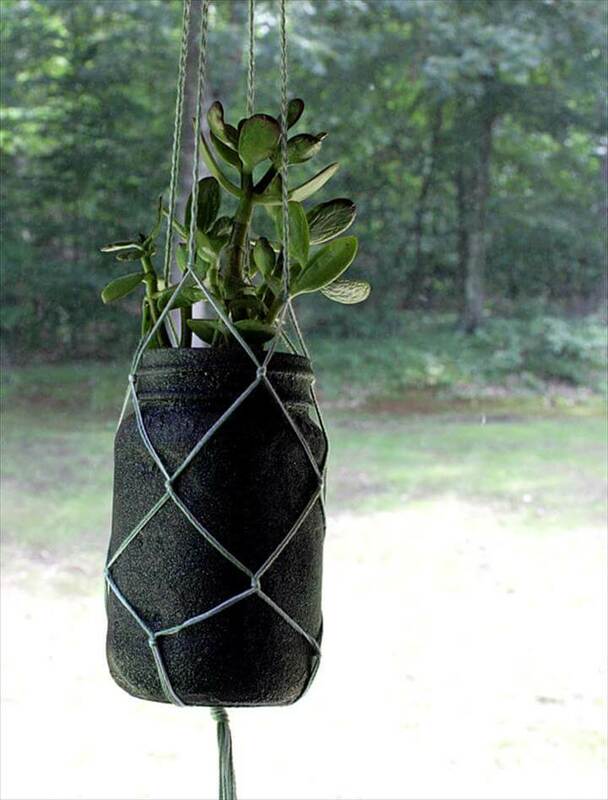 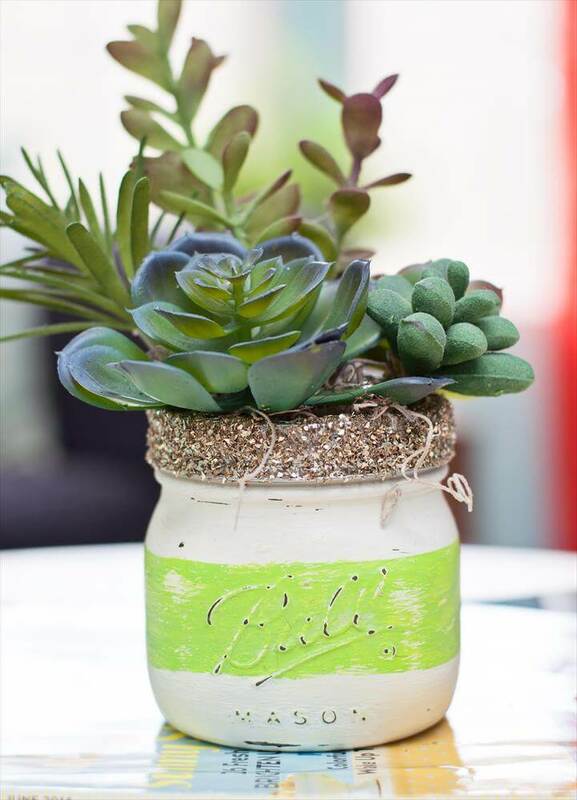 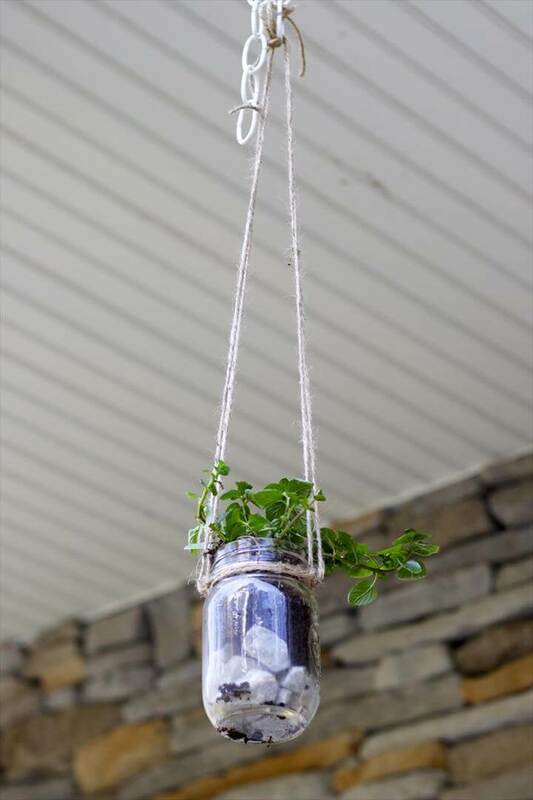 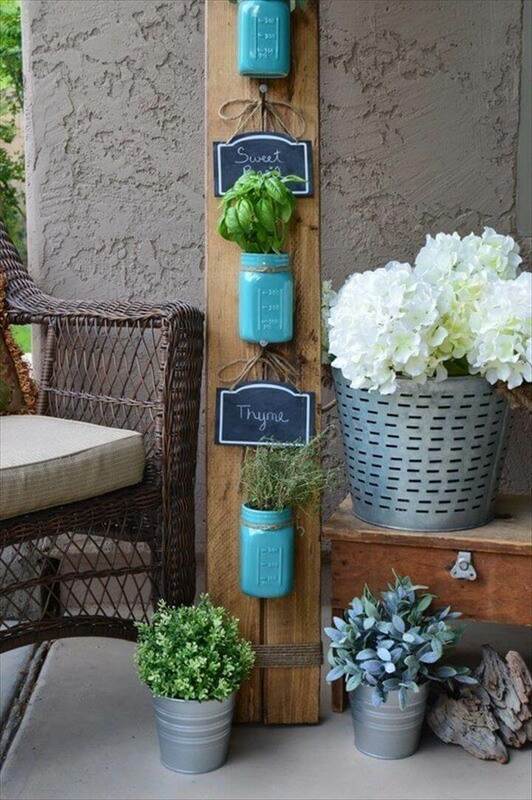 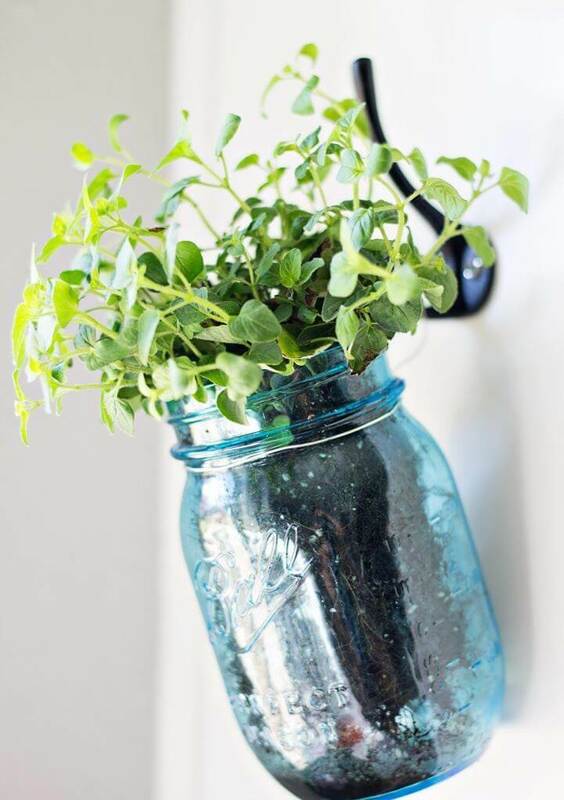 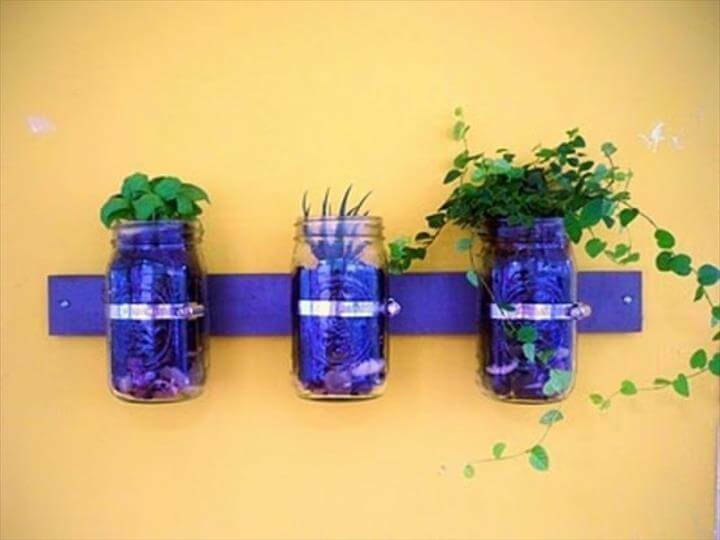 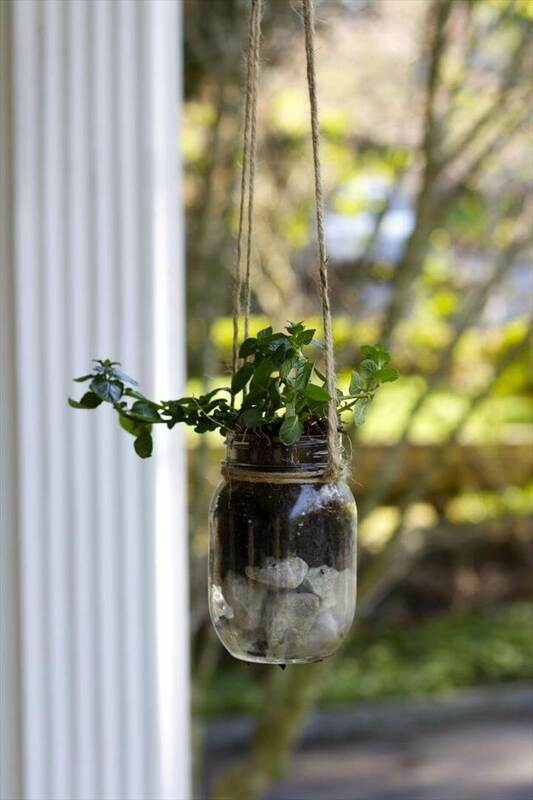 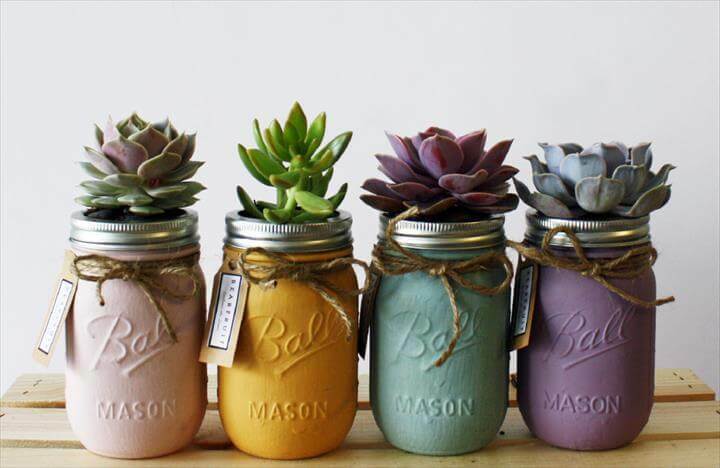 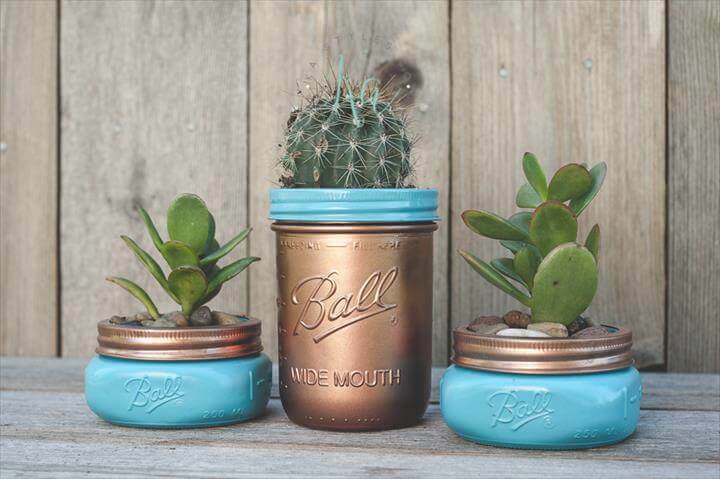 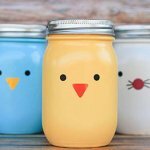 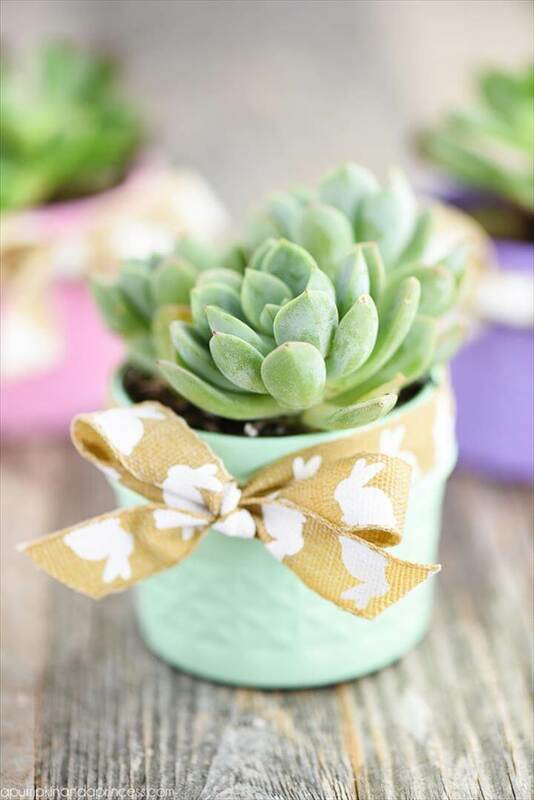 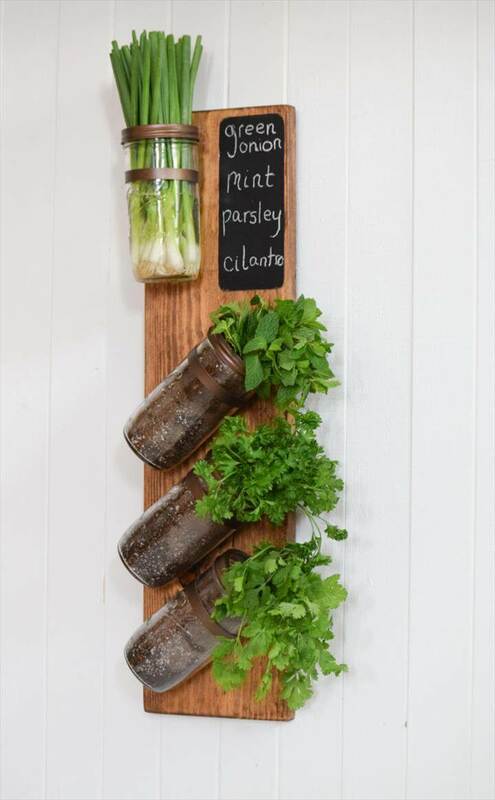 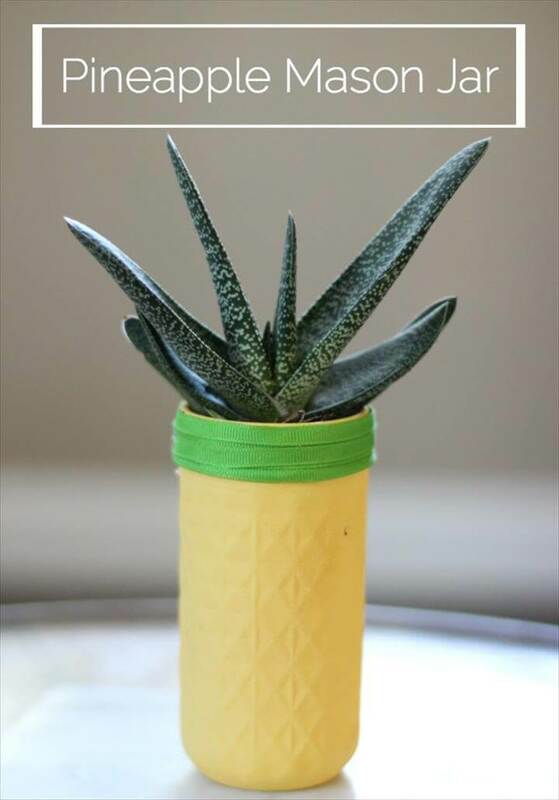 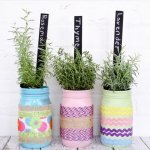 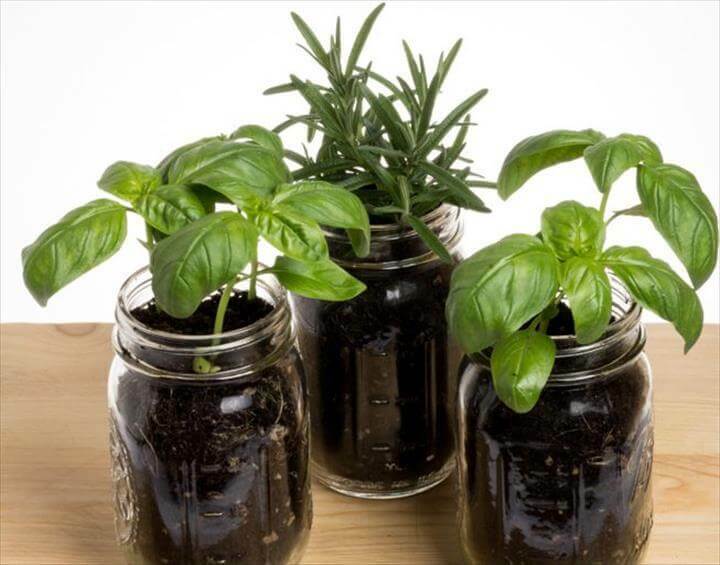 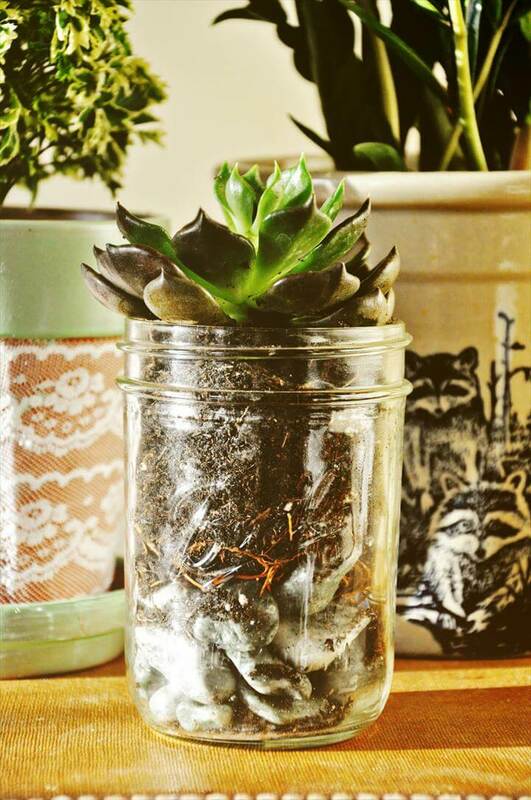 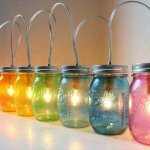 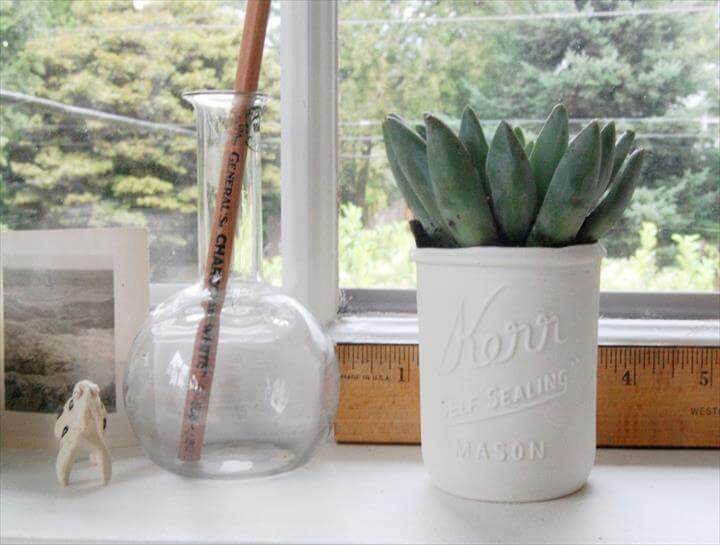 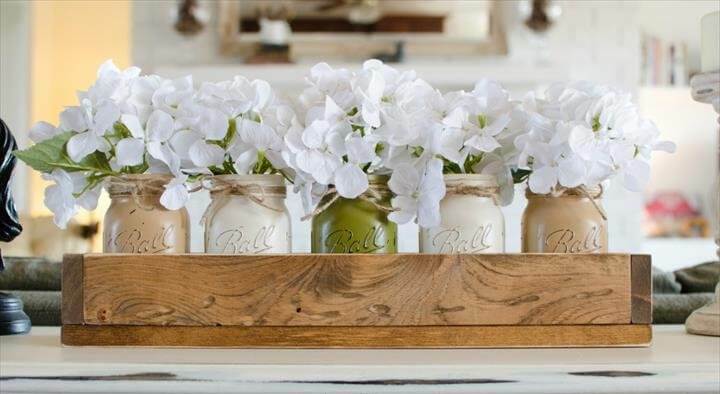 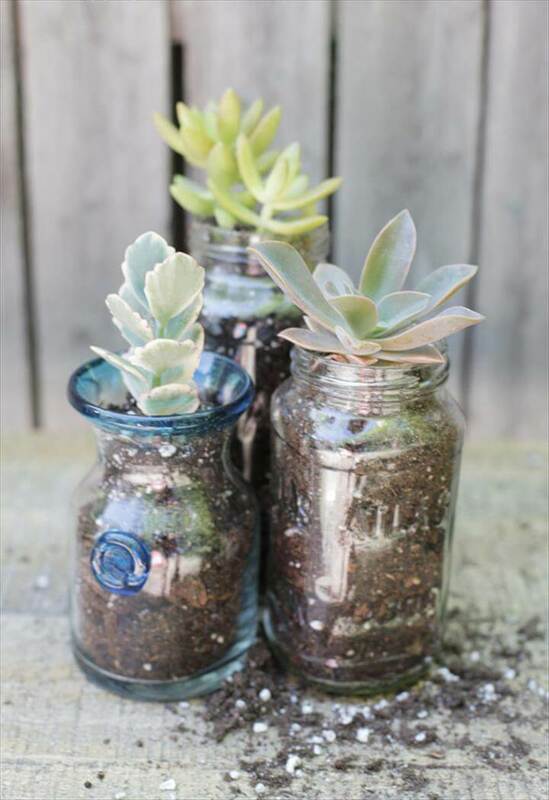 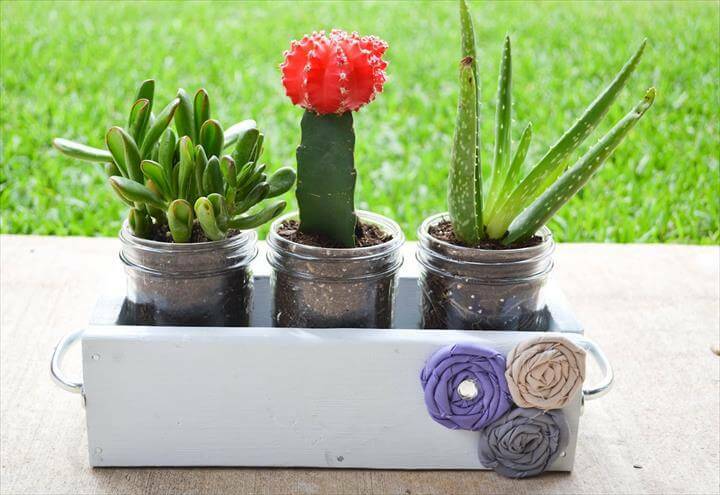 So just get along with us and check out these 45 new planter ideas using the mason jars. 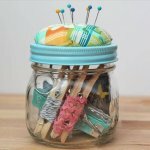 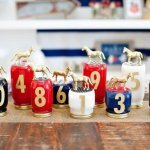 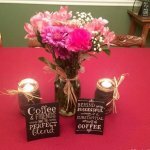 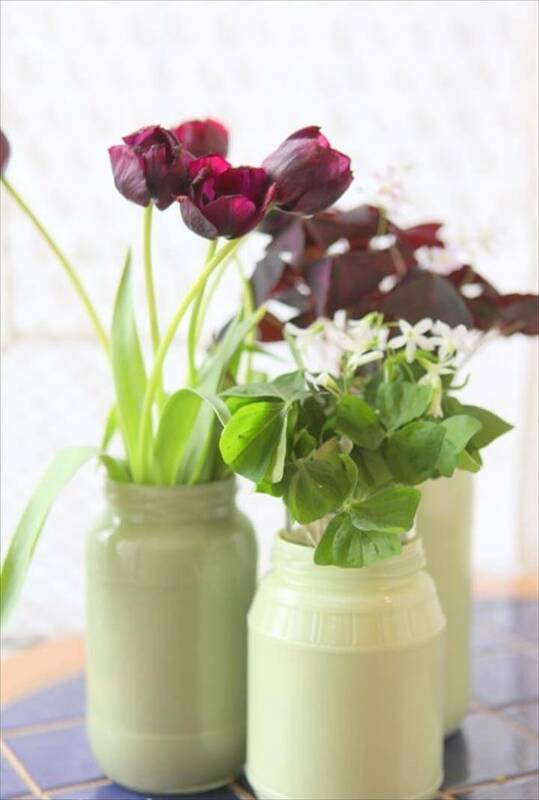 All the diy vases are self made and are too easy to get your hands dirty with a huge variety of the ways to make them beautifully display in the home decor. 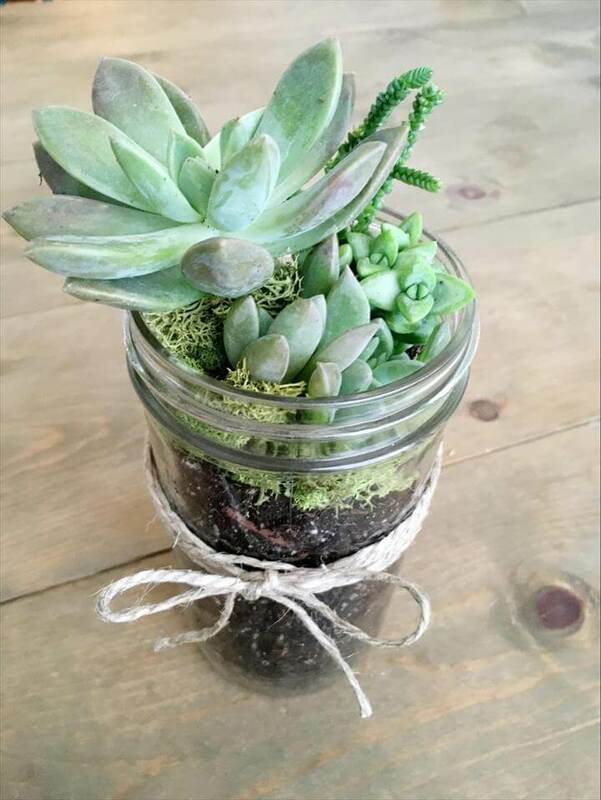 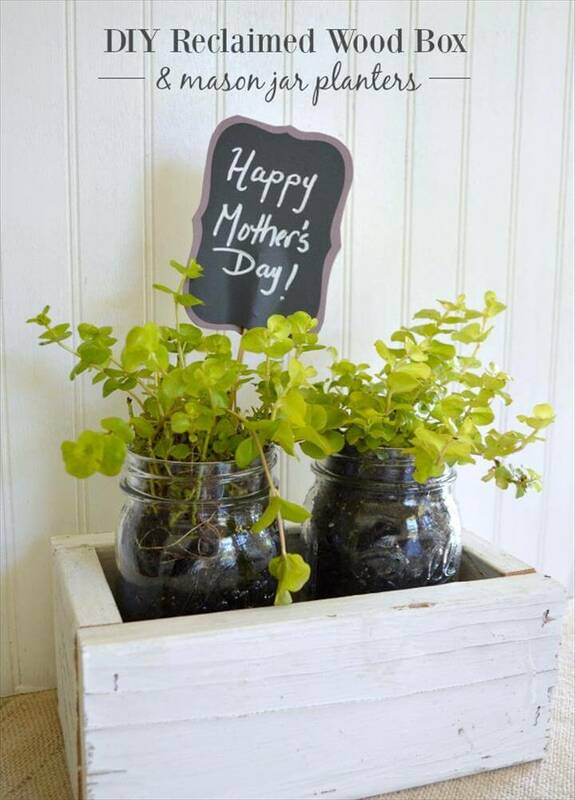 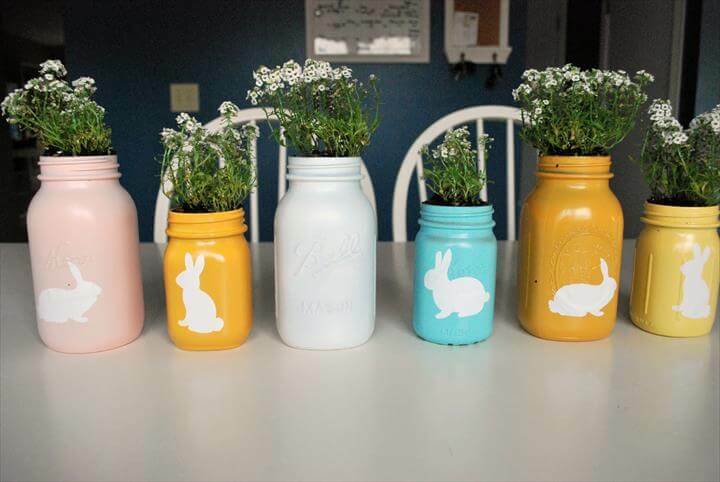 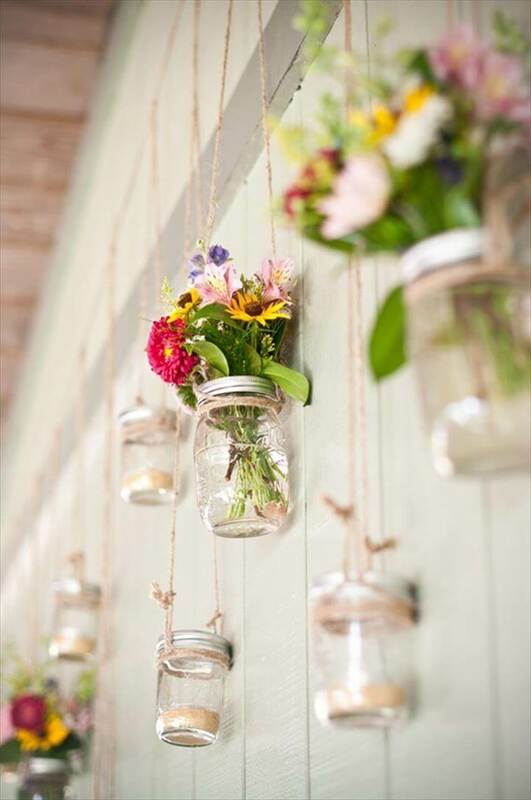 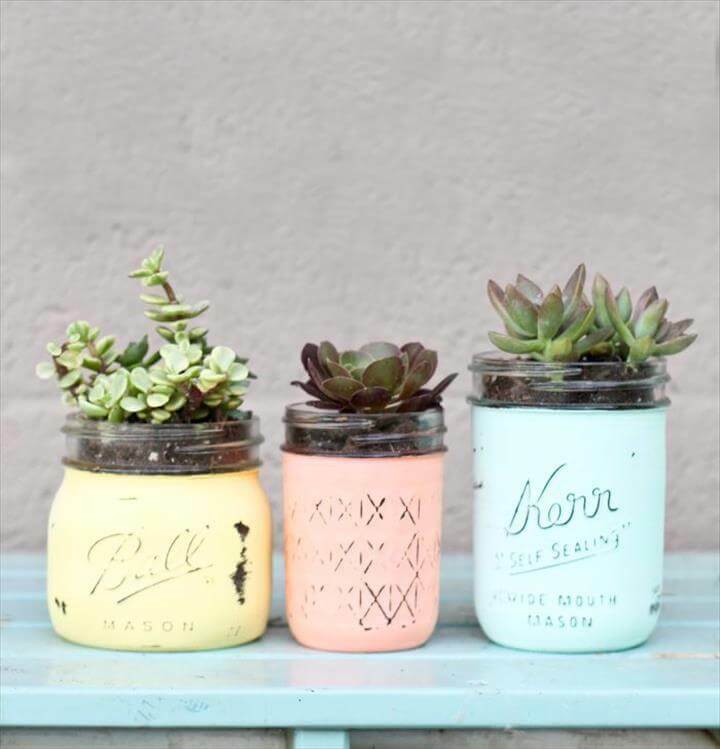 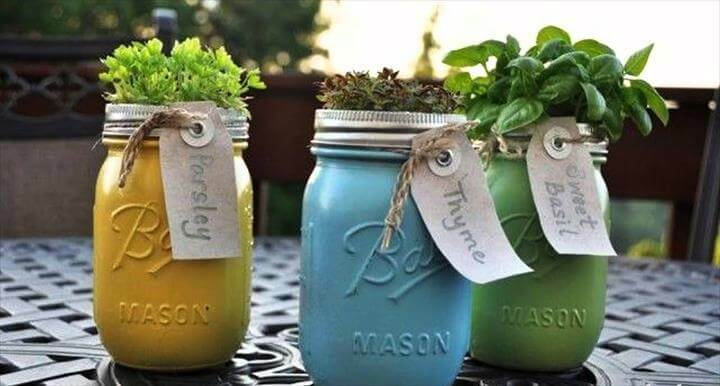 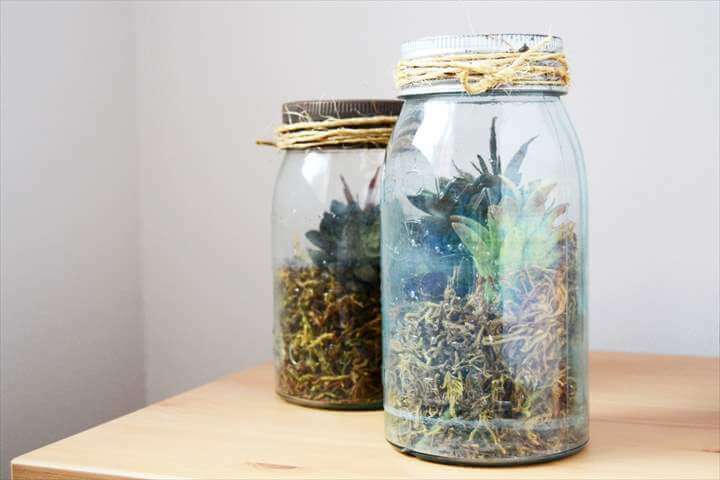 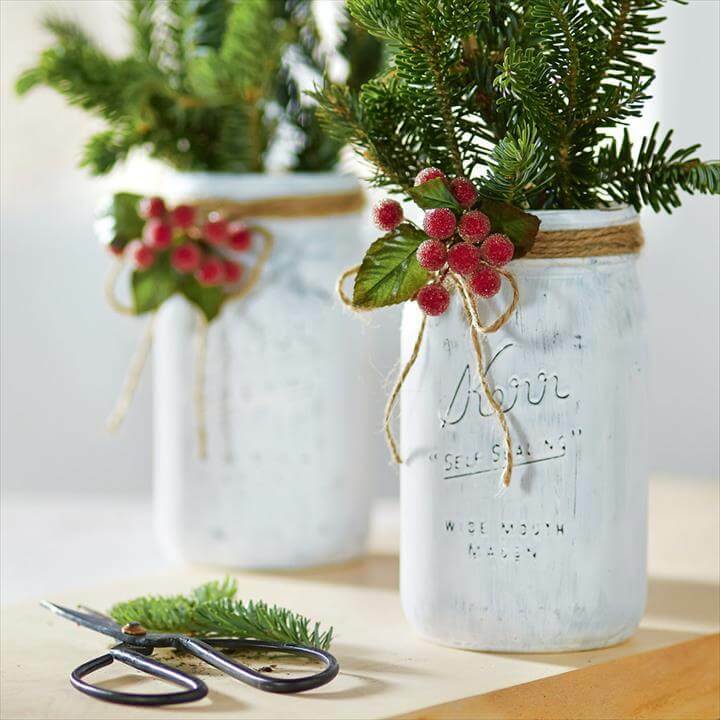 Use the simple and empty mason jars, paint them, dip them, glitter them to hold the lovely plants and flowers more gorgeously. 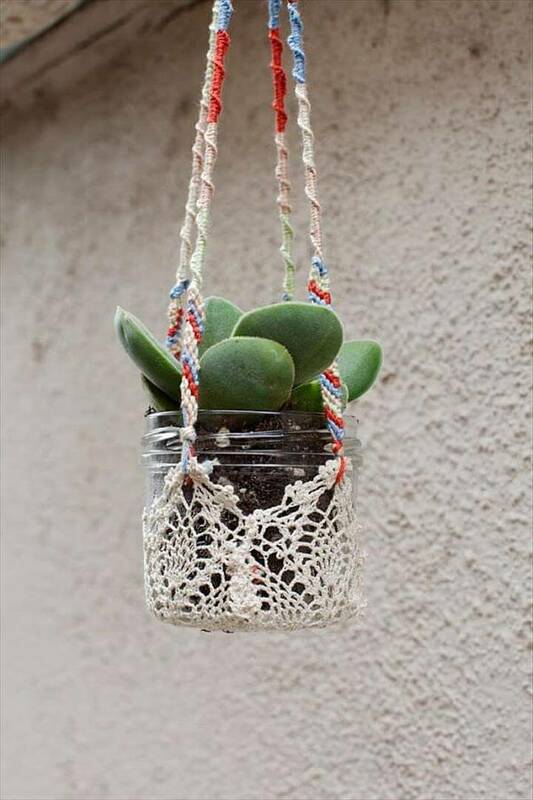 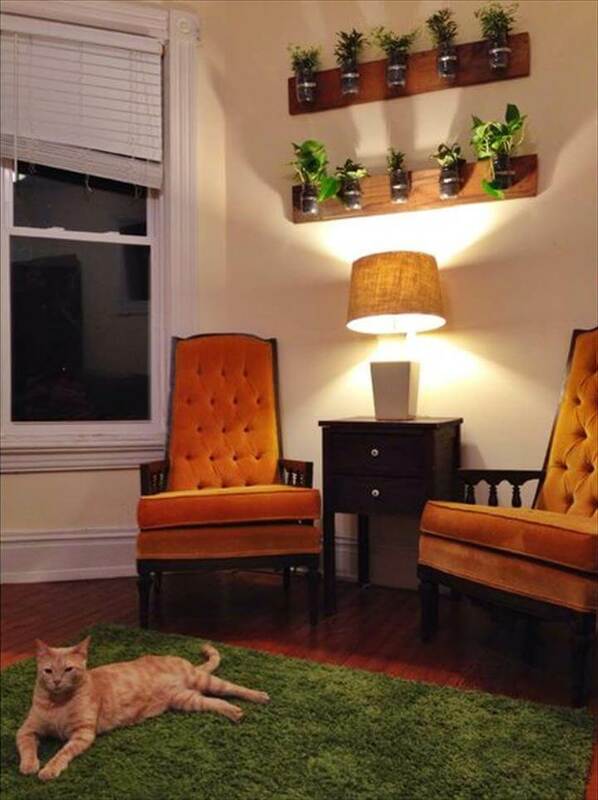 You can simply hold them at the tables, shelves, mantles or mount them on the walls with macramé, wooden shelves, and ropes or house them in wooden boxes in any section of the house. 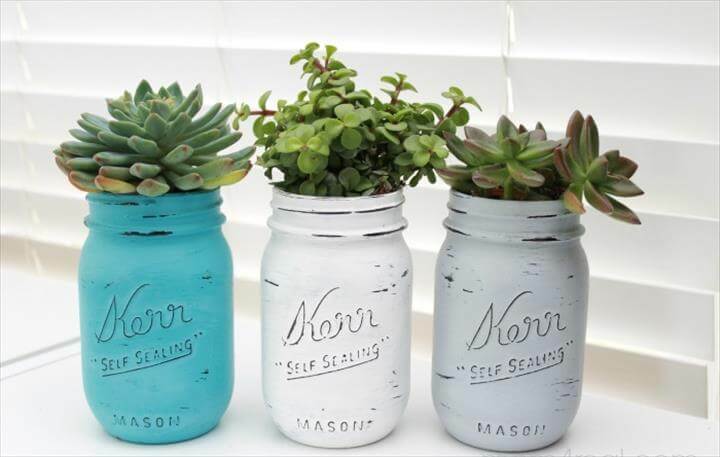 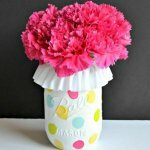 So do visit the following collection and tell us which of the Mason jar planter idea you liked and adored the most.